We only get 18 summers with our children before they fly the nest. I thought I would write a post about the important life lessons to teach your children before they move out. OMG, this absolutely terrifies me, Freddie is now 8. So I only have another 10 years with him at home before he moves out. I know a lot of children stay at home a lot longer than this, in fact my step son still lives with us who is 19, but he is in the process of buying his own house. So he will move out at 20. However, I already know Freddie will move out before. He is hell bent on going to university (I know he is only 8!). In fact will he still be wanting to holiday with us when he is over 15? Oh God, I didn’t with my family, but I am hopeful Freddie will. There is so much I want to teach him before he actually goes, mainly to prepare him for the rest of his amazing life. But there are so many other places and experiences I would love to share with him before he actually moves out. Japan – I went when I was 15 on a pen pal exchange and I have been desperate to go back. Freddie would absolutely love the culture. China – Stuart goes on business to China so he would love to show Freddie around. America – Hire a car around San Francisco and go exploring. Cuba – No idea why but Freddie wants to go! Safari – Not sure where, but I would love to experience this with Freddie, he would absolutely love it. Thailand – Not backpacking it is not our thing, but there are so many amazing hotels it would be great to experience. Caribbean – I know we have to been to Jamaica but it was absolutely amazing, so we will either go back here, or try one of the many other beautiful islands. Swimming – This is so important, I can swim but I am not at all confident in the water, and I would hate Freddie to miss out on things. For example, I hate going on water slides and water parks etc. Public Speaking – I know this sounds silly, but it is so important to be able to be confident. I was an FD in a previous life and I absolutely hated public speaking, I did it of course as I had to. But I was never confident. Freddie is already much more confident than me, and as such has started a musical theatre school on a Saturday afternoon. Most importantly he absolutely loves it, but it will be great for public speaking when he is older. 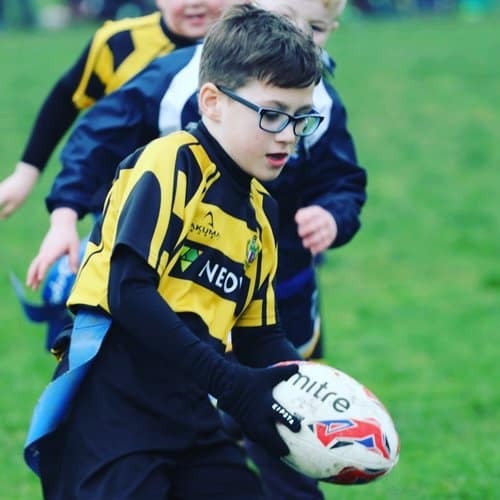 Be part of a team – Freddie absolutely loves sport and already does rugby. He has tried a number of sports (football and judo) but so far his favourite is definitely rugby. He is tall like me and his dad, so he is talking about joining a basketball team. Which as soon as we find one he will be doing that as well. Learn to share – Actually he is already amazing at this, I know he is not an only child, but his siblings are 19 and 23. So effectively he doesn’t have to “share” his toys, but he has so many play dates some of his friends are more like siblings, which is just lovely. Gratitude – To teach Freddie to be thankful for everything he has is something we have to work hard on! It is such a lovely quality in children, which so many don’t have. Learn how to do the housework! – This is absolutely key, how will he be able to move out until he at least knows the basics. He is of course too young (in my opinion) to do too much, but he does occasionally do the hoovering. Learning to iron, cook, clean a bathroom etc are absolute key skills to teach your children. Enjoy life – I don’t talk about my depression or anxiety, but I have struggled with both all of my life. I want to try and teach Freddie coping strategies that I have learnt along the way, and not to keep things bottled up. I am fairly confident he hasn’t inherited this from me, but I am very aware of it. Wow that list was longer than I had imagined when I first sat down to write this post, and I am sure there will be things I will add as he gets older. Really all I want is for him to be happy, everything else would just be an added bonus. Let me know below what other life lessons you find are important to teach your children. Love this! I would love my children to have some experiences I didn’t have such as been part of a team and learning to speak in public, something I never accomplished. I still go red when having to deliver conferences and speak as a “professional” which I hate!